What you see here is the result of a major splurge over the last few weeks. The first purchase was the amazing Skyline Super Silhouette. I have to say this casting is a must have for any TLV collector. The interior details blew me away when I had it in hand. The removable front end also hides a gem of an engine bay. If you are not familiar with the casting I highly suggest going over to The Lamley Group and finding the video highlighting the Super Silhouette s.
The next two purchases no cement my status as a TLV police livery collector. The first purchase was the 2 pack that I hadnt seen in my hours and hours of eBay surfing. This set included the Nissan Cedric 230 and Fairlady Z 2 by 2 as well as the policeman figure. 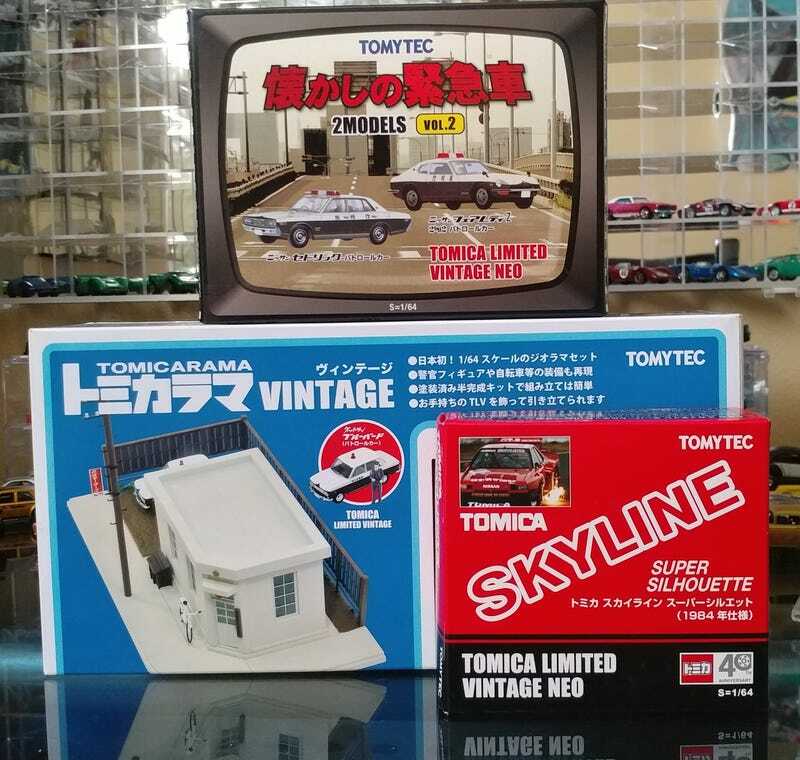 I had the Police Station Tomicarama on my watch list for months and the purchase of the above set made me hit the buy it now. At the point in time I hit that expensive little button I had 8 TLV police livery cars so it was only fitting to have one for myself. This set included the Datsun Bluebird 410 which I think may be an exclusive to the set. If you haven’t taken a dip in the TLV pool yet, I highly suggest jumping right in.